‘HEY, “crater face”!’ ‘Hey, “pizza face”!’ How utterly devastated, how ashamed, you feel! You want to creep away and hide. If only the ground would suddenly open and you could disappear! Why such unkind, cutting words—words that bring titters from some standing nearby? Because you are suffering from the teenage scourge of acne. Acne is a disorder of the skin that causes it to be spotted, even disfigured, by pimples, blackheads, and red swellings, or cysts. 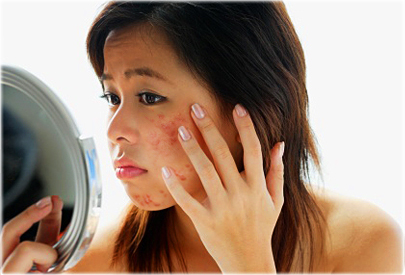 Often it is more than a passing discomfort that lasts a few months; it is a serious skin disorder. People of all ages can be afflicted with it, but teenagers suffer the most, some 80 percent developing acne in varying degrees, according to some experts. Acne sufferers thus have plenty of company. Not surprisingly, when 2,000 teenagers were asked to say what they disliked most about themselves, problems with skin far outnumbered every other complaint. F. Philip Rice, in his book The Adolescent, tells of young Jim who began getting acne in his early teens. By the time he was 14, his face was so badly affected that pus at times ran down his cheeks. He changed from secure and outgoing to withdrawn and self-conscious. Why, though, does this scourge appear during your teenage years—at the very time you want to look your best? Because you are growing up. With the onset of puberty, skin glands increase their activity. The World Book Encyclopedia explains in simple terms what happens: Each gland empties into a hair follicle—that is, the little bag surrounding each hair. Normally the oil would drain out through a pore of the skin, but sometimes a pore gets clogged and the oil cannot get out quickly enough. The clogged pore now forms a blemish called a blackhead because the trapped oil oxidizes, dries, and turns black. If the pore is so clogged that no air at all can get to it, then instead of a blackhead, a whitehead develops. A pimple develops when pus forms. Cysts are formed when germs breed in the backed-up oil. It is the cysts that leave permanent scars. Pimples do not scar unless they become infected because of squeezing or picking—so don’t squeeze or pick! Interestingly, tension and emotional upsets can activate the skin glands. Some experience the blossoming of a large pimple just before an important event or before and during exams. Sad to say, there is no single treatment for acne. Dr. Sidney Hurwitz, an authority on the subject, points out that there are medications available that can, in most cases, gradually help bring acne under control. Of course, if the outbreak is severe and persistent, you should not wait to outgrow it, but you may wish to consider seeking the help of a dermatologist. He or she may prescribe one of the several acne preparations available or even antibiotics. Patience seems to be a key to successful treatment. Remember, the trouble built up over quite a period of time, so it will not clear up overnight. Unfortunately, many do not stick to their treatment plan after they see initial improvement. For worthwhile results, it is important to apply carefully any instructions given by your physician. 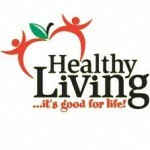 Some have found that by taking care of their overall health, such as by getting plenty of exercise, being out in the fresh air as much as possible, and getting enough sleep, their complexion benefits and their acne condition improves. It will also help to cleanse your skin thoroughly to prevent perspiration mixed with dirt and pollution from clogging pores. Some doctors claim that diet plays a big part in controlling acne and recommend eating as little fat and junk food as possible. This In-depth Guide Shows You How To Get Clear Skin Quickly And Easily. Written By A Practicing Holistic Nutritionist. It Incorporates Up-to-date Scientific Research On What Causes Acne And 9 Effective Rules To Get Your Skin Clear Starting Today. All Natural Cure For Curing Acne In 14 Days. 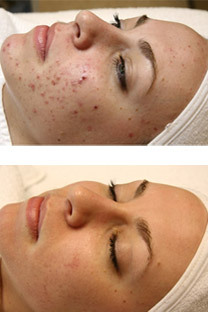 Simple Step By Step Methods To Eliminate Acne. Copyright © Healthcare Ways.Original News Theme by .